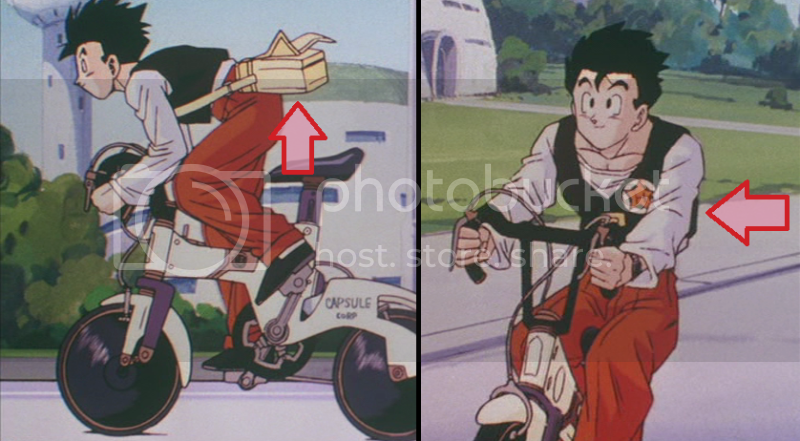 Dragon Ball Z Movie 12 Animation Errors | Welcome to "The Weasel's Last Fart!" 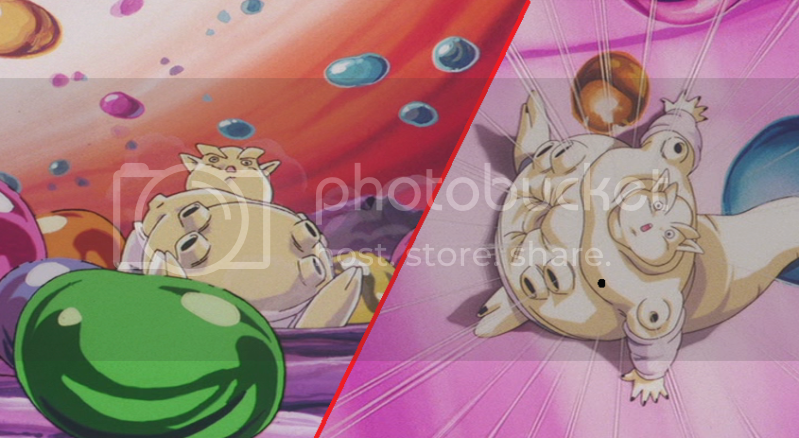 ← Pokemon: The First Movie “Complete Edition” DVD! 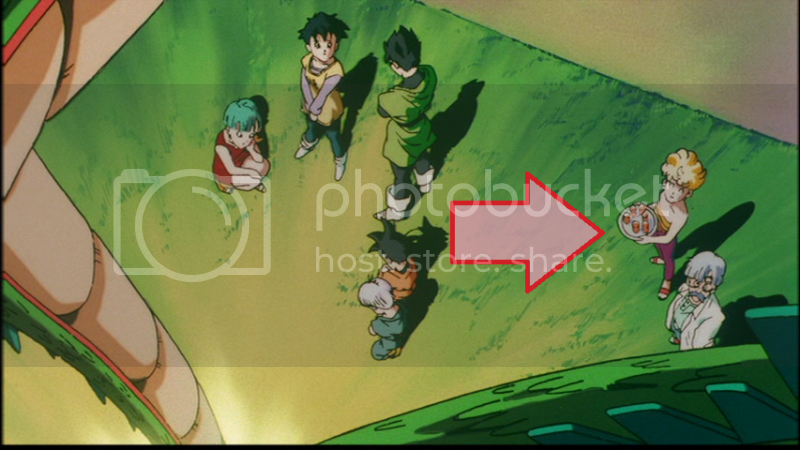 The first error is this movie came as South Kai smashes his hand up against King Kai. 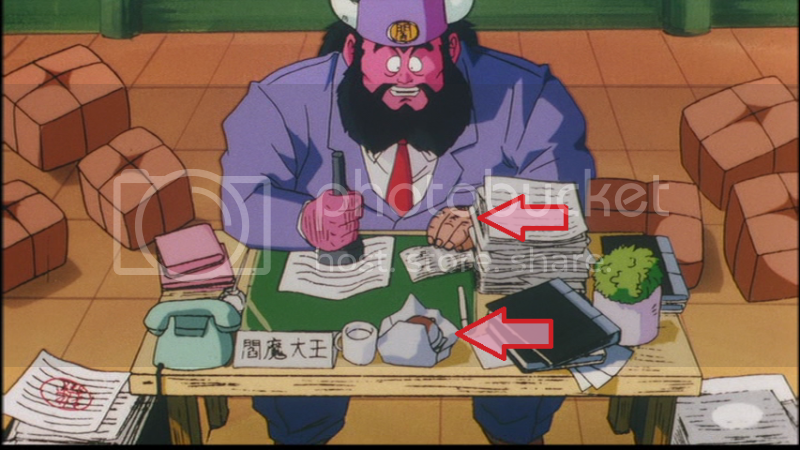 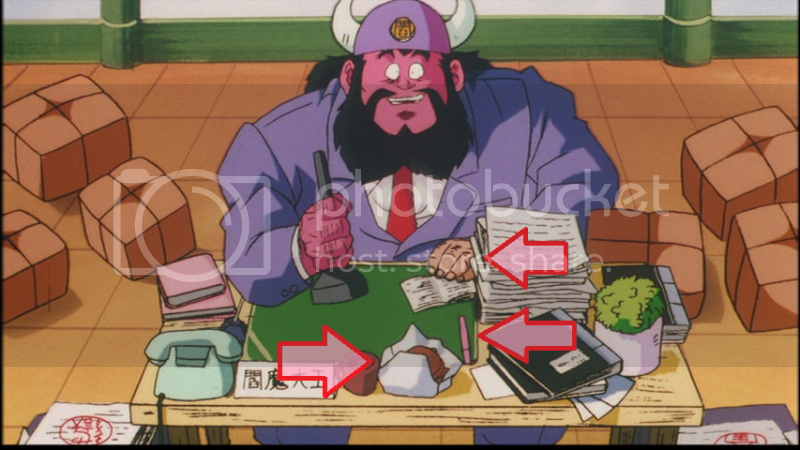 In the first part of the scene his hands are pink, as they should, but as King Kai falls back in the next scene, his hands are now blue! 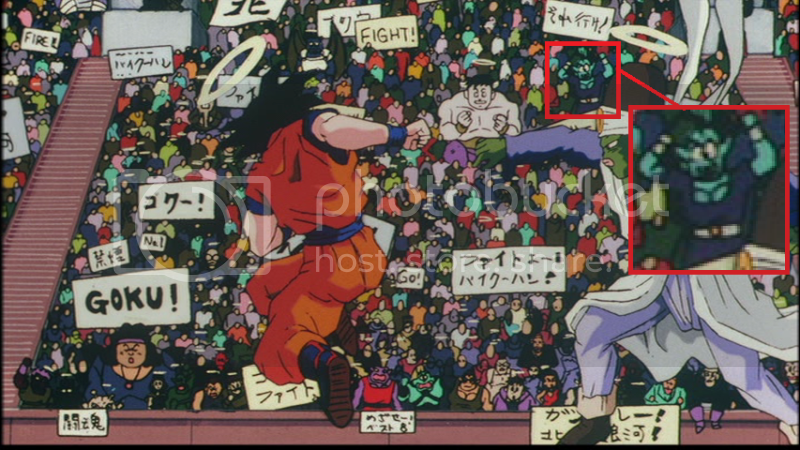 The next one isn’t an error but hey, look at who’s in the stands! 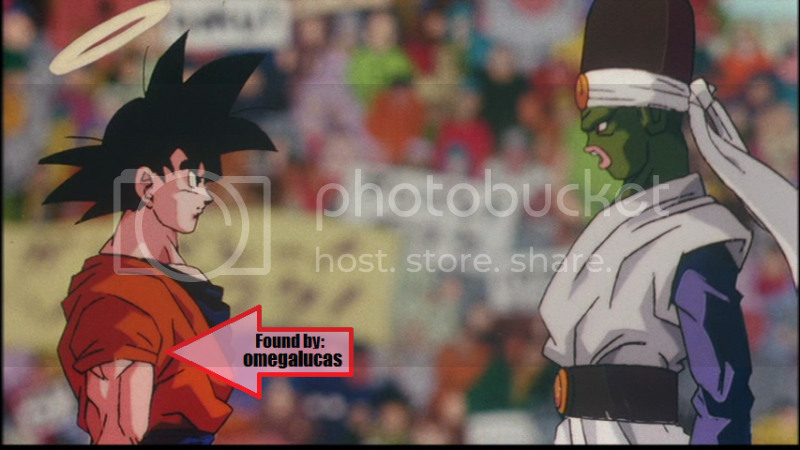 It’s Arqua, that’s totally Arqua! 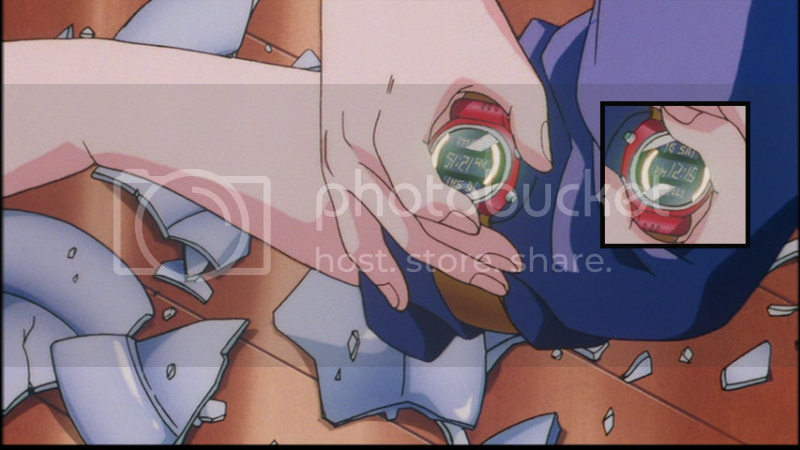 I was thinking if I should exclude the opening since it’s so common and there have been a few errors and oddities pointed out here before but, I figure for good measure and for the sake of conversation, it wouldn’t hurt. 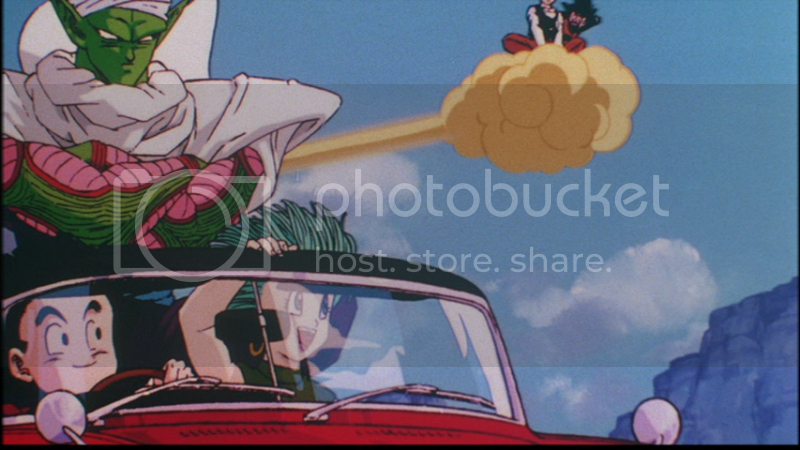 FUNimation took one frame of animation from this opening for one of their “Great Saiyaman” videos. 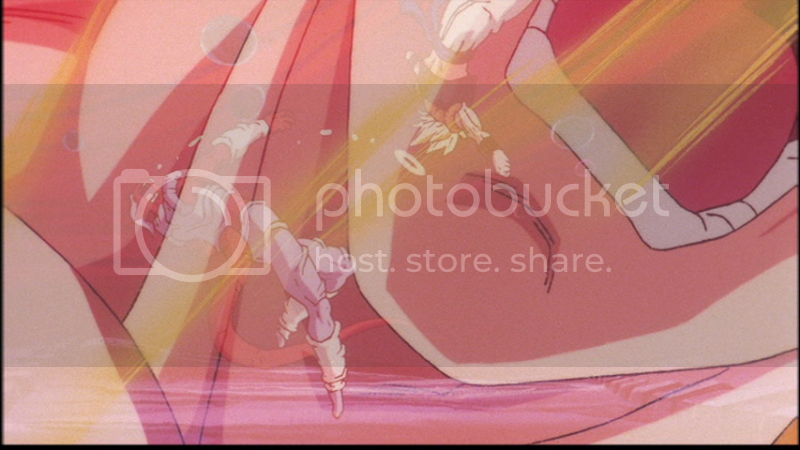 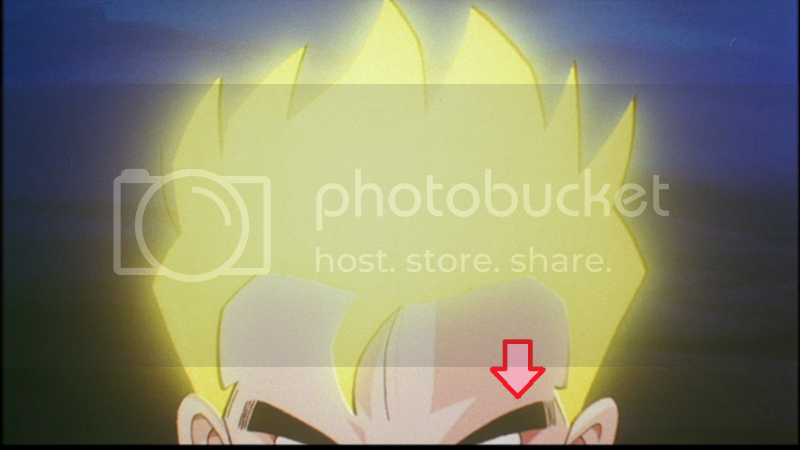 This was really a hard frame to capture, it’s really just one shot of Gohan’s face moving…. 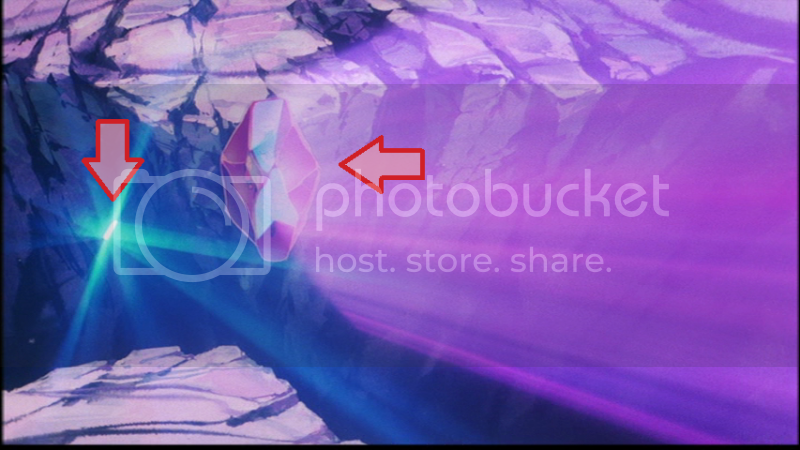 And, the last thing I’ll mention from the opening. 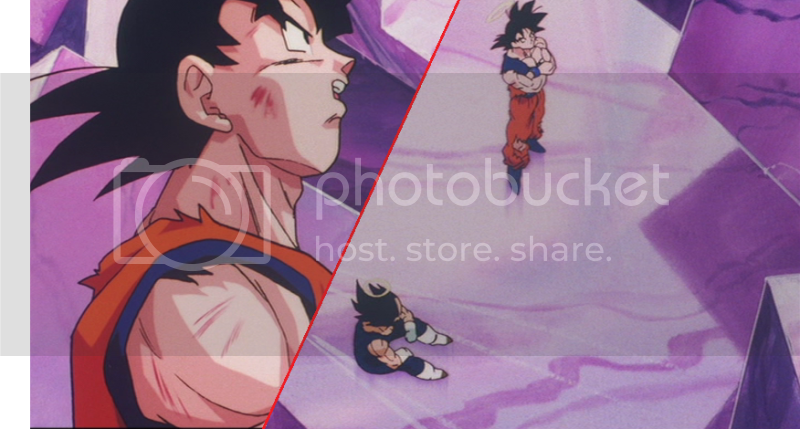 FUNimation takes another screen shot for one of their covers. 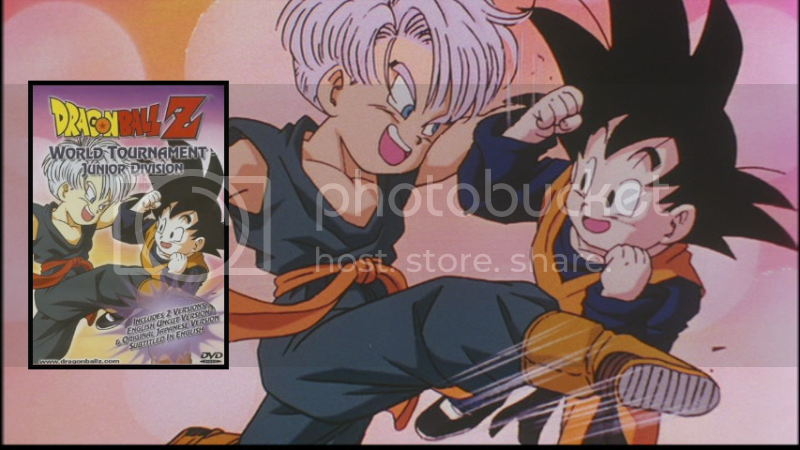 This time this Goten and Trunks are used for one of the “World Tournament” videos. 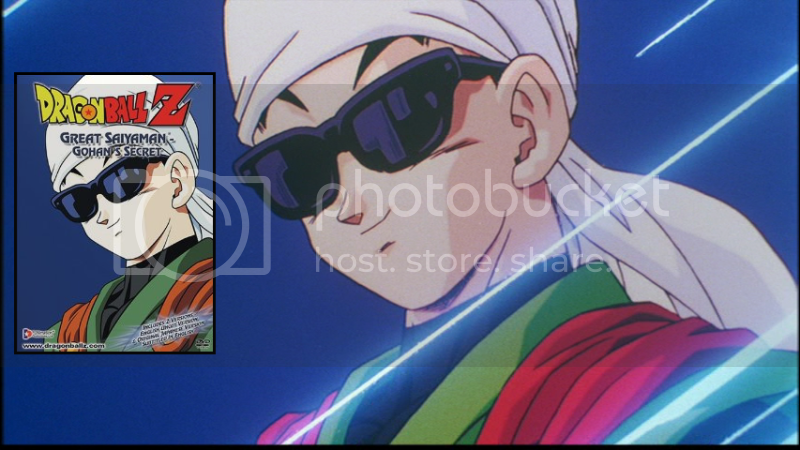 Side note: DBZ movie 12 took place on a Saturday, the 16th! 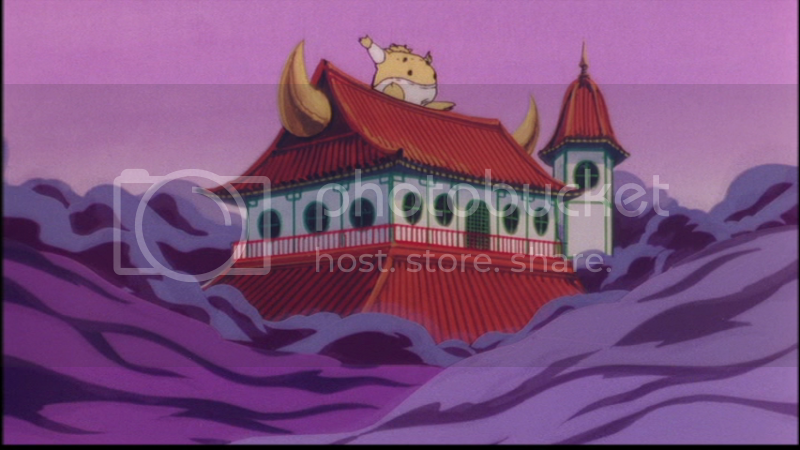 Later at Bulma’s house, the Dragon is summoned. 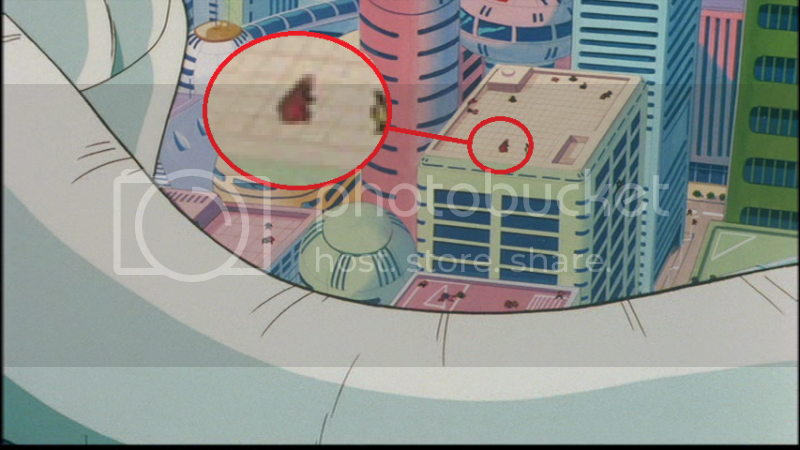 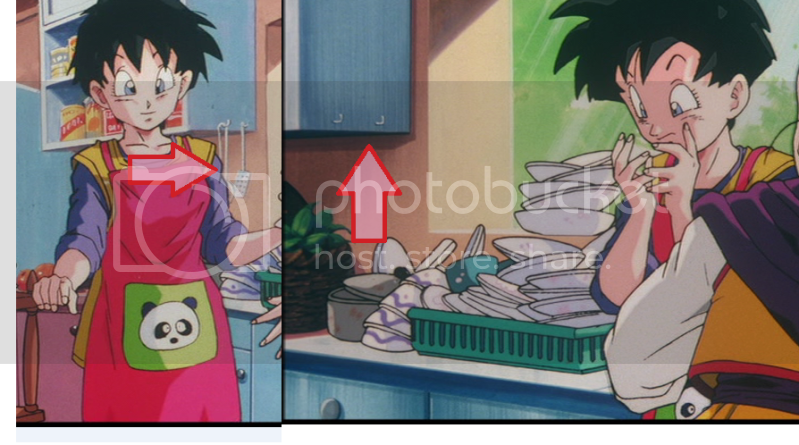 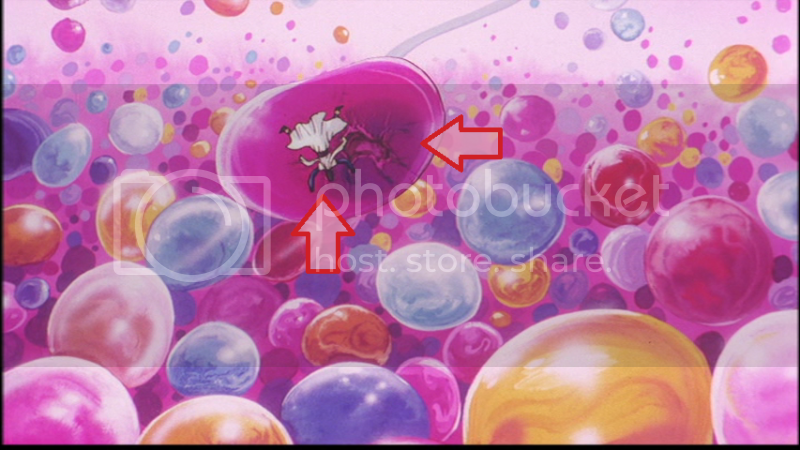 Did you ever notice Bulma’s parents were there?